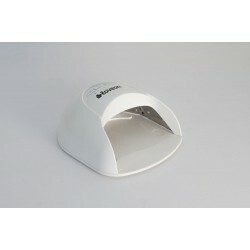 CND’s portable LED lightweight and portable curing lamp features..
loveon Lunalight Basic LED curing system for hand & feet. Features 12 strategic and ergonomicall..
Uniko UV 9 Watt bulb. For replacement on Uniko UV curing lamps. Long lasting, up to 20,000hrs on a s..
Uniko UV Lamp, lightweight and portable. Features 4 x 9 Watt UV ..